A unique and original sterling silver golf ball marker personalised with your own special message, the perfect gift for the golf lover. 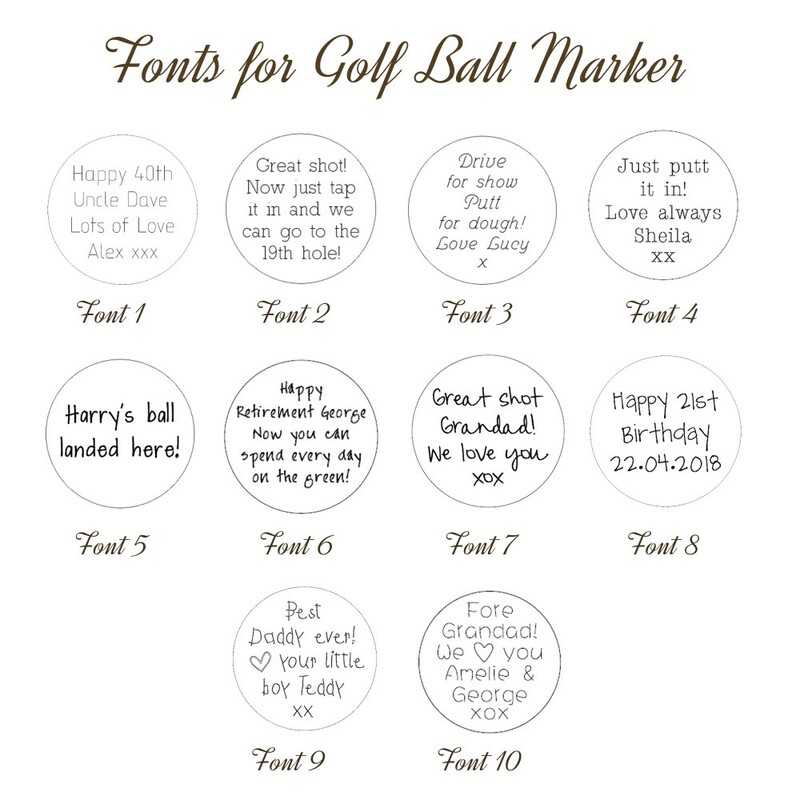 Our handmade personalised sterling silver golf ball marker make the perfect gift for the golf lover to take precious memories onto the course with them. The sterling silver disc will be beautifully etched with your own personal message in your choice of our very popular child's handwriting fonts and you can have the reverse etched with a golfing image or a further message for no extra charge. 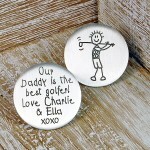 These golf ball markers are perfect for messages of love from little ones to their Daddy, Grandad, Grandma etc to mark special occasions such as Birthday's or Father's Day. Messages of up to 54 characters (which includes spaces) can be accommodated on either side of the silver disc. 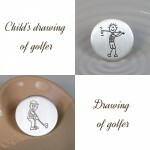 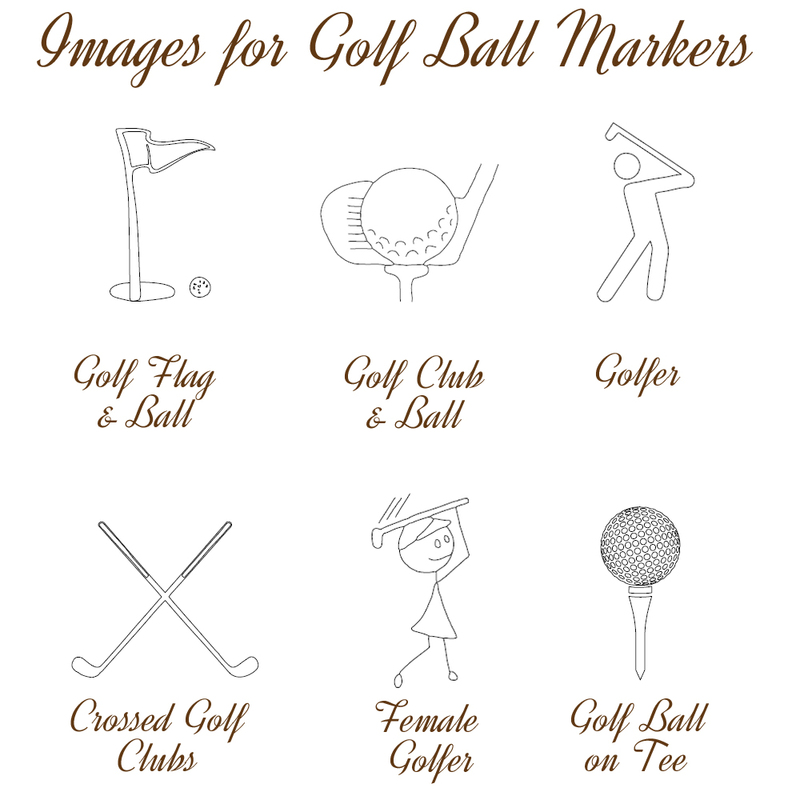 Or there is the option to have the reverse etched with a golfing image, instead of an additional message. 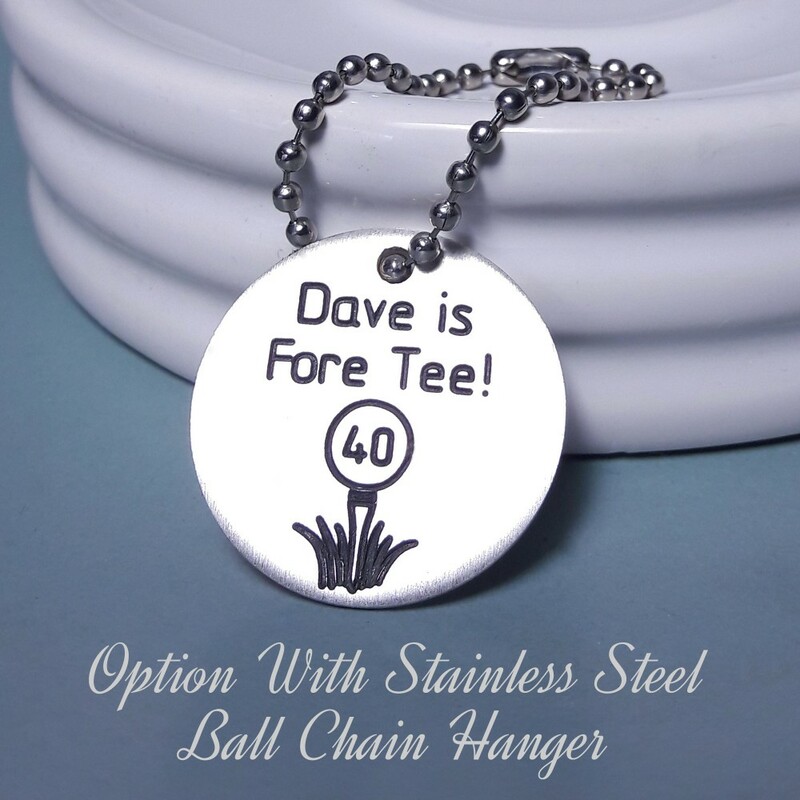 There is also the option to add an easily detachable stainless steel ball chain so that the marker can be attached to a Golf Bag, Key Fob, Belt Hook etc so it always close at hand. 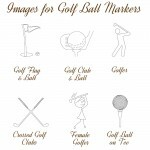 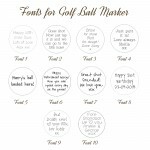 This Golf Ball Marker will be made especially for you, by us and will be beautifully wrapped in tissue paper and presented in an IndiviJewels Gift Bag. 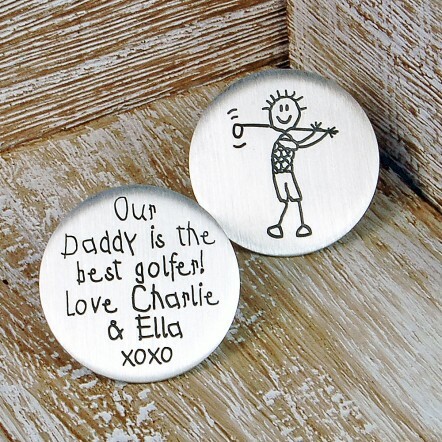 Our personalised golf ball markers are handmade from solid sterling silver and have a brushed satin finish.